The Pinnacle of Ridiculousness Topped Again!! Who Really Let The Dogs Out? Are We Ever Going To Learn? If this isn't the pinnacle of ridiculousness, then I don't know what is. As if the "Madoff Mess" was not bad enough; this woman is now strutting around as proud as a peacock granting television interviews about being his mistress. No shame in her game. Every time I think the pinnacle of ridiculousness has been reached, someone comes along and tops it. I have to ask the critical thinker question again; Why do we care? or Why are we supposed to care? While I am an avid reader and I don't in general wish any ill will on anyone, in this case I truly hope that Weinstein's book about her affair with Madoff sells about the same number of copies as Bernie has "inches" (or lack thereof) according to her. Absolutely ridiculous! Critical Thinkers of the world unite. My pastor Rev. Kenneth D.R. Clayton, pastor of The St. Luke Baptist Church, deserves the credit for this critical thinker moment concerning Michael Vick. We are both in total agreement that Michael Vick was wrong; however, based on the outcry from "outraged" >(oh how I hate that tired overused news report word - see http://thereadingcircleblog.blogspot.com/2008/03/burned-up-with-overuse-of-word-outrage.html) Americans at the thought of Michael Vick receiving forgiveness or a second chance at his career after breeding dogs for fighting, begs the question how come this same type of outrage (there goes that word again) and outcry was not heard in 1963 when in Birmingham, Alabama dogs were bred to maim and kill people? Hmmmmmmmmmmm!! Something to critically think about. Thank you for this critical thinker moment Rev. Clayton. “If you are not a millionaire, you need to turn the television off.” This is a quote by Arthur J. Johnson II, author of Ignite The Fire Within. Mr. Johnson made this statement when I was interviewing him on my radio show THE READING CIRCLE w/Marc Medley on WP88.7 FM. We were talking about the importance of reading and the time spent on this activity compared with the time spent for most people watching television. After our conversation, my mind went back to Dr. Ben Carson’s mother who purposefully and intentionally limited Ben and his brother’s television to a very small amount of time (if any) per week while requiring two book reports per week from each child. I was also reminded of Michelle Obama, whose mother also limited the amount of time Michelle could watch television as a child and encouraged her to read and study instead. Television watching is a passive activity. In other words it takes no thought or energy to engage in. Studying and reading on the other hand, requires active involvement by many of your mental faculties. 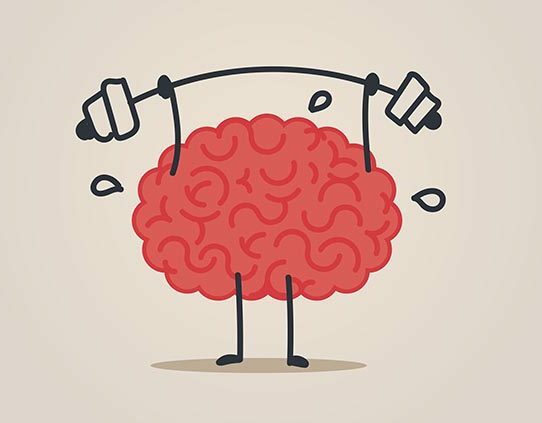 The brain like any other muscle in the body requires exercise. Watching television is not a work-out regimen for the brain; in fact it doesn’t even encourage a work-out regimen for the body as usually one is sitting on the couch when partaking in this so called "delight." When I was a child, I would always hear my father call the T.V. an “idiot box,” and would wonder why. As an adult, I truly can appreciate what he was referring to. I watch children and in many instances adults alike get into a stupor when the T.V. is on. I have seen children who cannot function when they are in the grips of a meaningless television show. Peeping in on some of these shows, I even question what could have been going through the writers; editors; producers; and directors’ minds when they put these shows together. Many are just glorified advertisements to lure children into pestering their parents into purchasing the latest character or toy. I must admit I had to laugh at some of the lines as they really were lines that had double meanings intended for adults even though it was in a children’s cartoon or program. Truly high achievers do not have time to sit in front of what author/philosopher James Arthur Ray calls the plug in-drug. That’s what Mr. Johnson meant when he said, if you are not a millionaire, you need to turn the television off. I usually tell people that I am always in the midst of reading 15 to 20 books at one time and they look at me like I have three heads and ask, “How do you do that?” My response is the same way you sit down and watch multiple 30 and 60 minute television programs, I read one book for 30 minutes; put it down and read another for 30 minutes; put it down and read another for 30 minutes; and so on and so on and so on. It is a matter of choice. Actively engage your mind to be productive or sit passively and be influenced by the junk that is now put forth on television--Garbage In-Garbage Out (GIGO). If my father thought it was an idiot box in the 60’s and 70’s, I don’t think he would have words to describe it now. I don’t subscribe to cable (never have) and the programming that is left on regular (digital) T.V. is horrid. What’s even worse is the programming on “pay” T.V. (cable) is just as bad or worse and we pay for it!!! The other way I get through so many books is by always keeping books with me at all times. In the car; on an appointment; near my bed; in the bathroom; near my computer; and so on and so on and so on. It can be done. Again it is a matter of choice and this critical thinker leaves you with ALL leaders are great readers. Join this critical thinker in becoming a leader. Those who are in the know, know that the television is not the way to go. P.S. Audio books will qualify to a degree. How many organizations against drunk driving is it going to take? The Taconic State Parkway tragedy was a true tragedy on so many levels. This critical thinker advises all of us to pray for traveling grace and mercy before hitting the road. It was always a practice of my family when I was a child to pray prior to going on long trips; I carried this same practice into my own family prior to going on long trips and one day when my youngest daughter Niara was very little, she asked the question, "Daddy, how come we don't pray every time we get ready to leave in the car?" Out of the mouths of babes. With all the distractions (cell phones, GPS's, text messaging, drinking, sleep deprivation, etc. etc.) going on behind the wheel, I have to agree with Niara (now 14). We had better pray for safe travel every time we sit behind the wheel of a car (not to mention air, train, and sea travel) as we head off to our destinations. I constantly ask God to help me watch out for the other man and for the other man to watch out for me. I ask that the equipment perform in the manner that it was designed to perform and that I arrive safely to and from my destination. Last year we lost Rev. Timothy Wright and his family to a head on collision and there have been countless other lives lost due to drinking and driving, drugging and driving and texting and driving. How many lives will it take before we finally get the message?